"Very fast. Great work. " 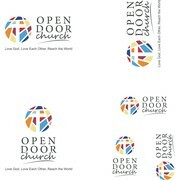 "Shaken did a great job with our new church logo! He was very easy to work with, made changes as requested and was timely with getting back to us. " "Made and delivered exactly what I wanted!"